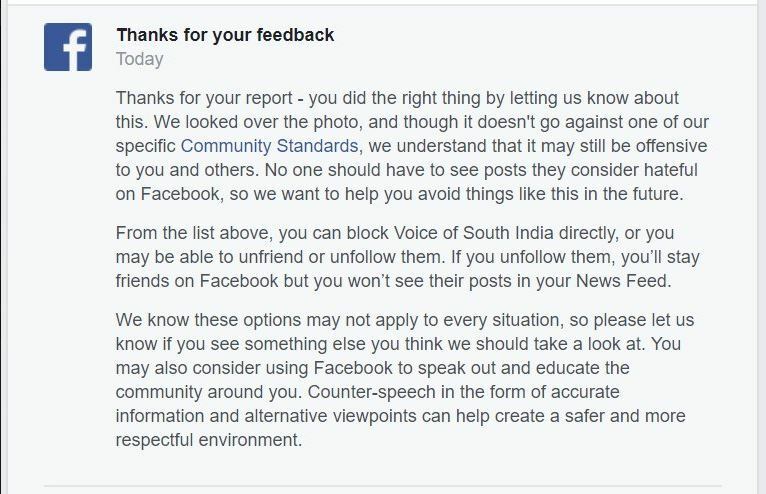 Facebook claims to be neutral as far as community standards are concerned. But it seems to be selectively ignorant to the requests of right-wing figures while going soft on the leftist narratives on its social media platform. Worse still, it doesn’t consider an instance of a distortion and manipulation as violation of its community standards. 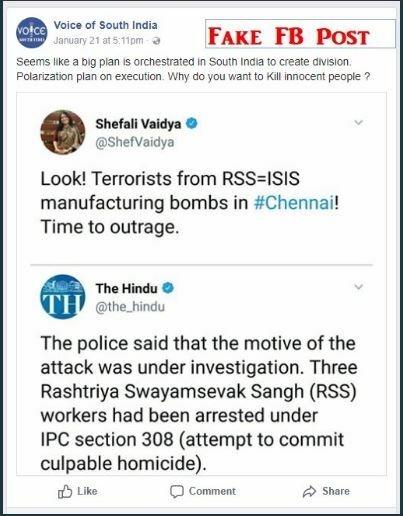 Shefali Vaidya though has been a regular target. Her profile was once blocked when she shared a donation appeal to Civil Liberties group. She has also been targetted by the Congress IT Cell and other anonymous trolls. Fake news carrying photo-shopped images can wreak havoc as it has wide public reach. These shocking episodes highlight the need for better community standards policy and monitoring on Facebook in future. Whether or not this is a sincere apology, the damage was already done. 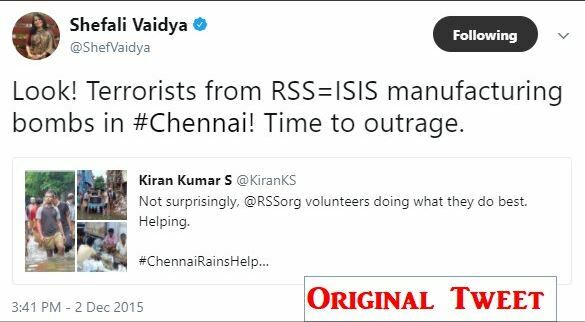 The fake image has gone viral already and tarnished the image of Vaidya.